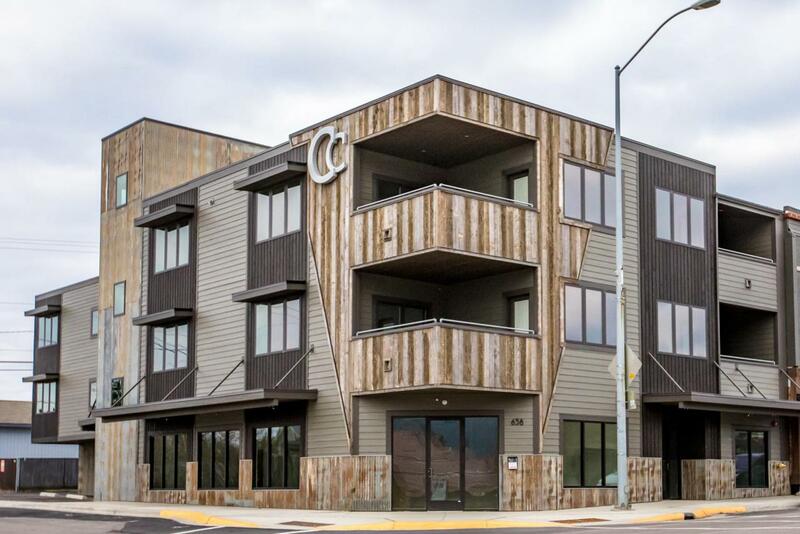 The Columbia Crest, the newest mixed-use building on the desirable Nucleus Avenue is an ultra sleek, contemporary, building with exterior lines and finishes guaranteed to turn heads and exuding an urban lifestyle second to none. A total of 8 residential units ranging from 888 SF to 1,248 SF, all offering luxurious amenities and functional floor plans. The shared rooftop deck and the units will enjoy a variety of views, including the Big Mountain ski resort, into Glacier Park, and the Swan Range and the city skyline. With the abundance of restaurants, shops and a lively neighborhood, buy it for the lifestyle or take advantage of the NIGHTLY/WEEKLY zoning and buy for the the investment....or both. Call Kelly Laabs at 406-890-5451, Chelsea Goldberg 406-890-3492or you real estate professional.